Even by the standards of Philippe Garrel’s characters, Pierre is a real cad. In contrast, the highly flawed protagonist of his previous film Jealousy was one of his most sympathetic. Perhaps not so coincidentally, Garrel’s son, the popular French actor Louis Garrel, played the lead in Jealousy, but simply serves as the narrator this time around. It is a great part, but the unfaithful documentarian is sure to inspire strong reactions when Garrel père’s In the Shadow of Women (trailer here) opens this Friday in New York. Pierre and Manon appear to be the perfect partners, both romantically and professionally. She has long been happy to perform supporting functions on the documentaries they collaborate on. They have something else in common too. They both have lovers on the side. According to Pierre’s chauvinistic attitude, it is all very well for a man to do a little roving, but it is unacceptable for women. He realizes this is somewhat contradictory, but so be it. Unfortunately, Pierre is the one who discovers Manon’s affair. (This should go without saying, but if you are meeting your married mistress in a café, get a table towards the back, for crying out loud.) Since the somewhat neglected Manon was only enjoying a little attention, she immediately breaks it off. However, Pierre continues to torment her with his suspicions and holier-than-thou judgement. Meanwhile, he continues to carry on with Elisabeth, an intern at the French film archive. Yet, rather than having it both ways, it is more like he is trapped in two dysfunctional relationships. In fact, it is the problematically codependent and passive aggressive Elisabeth that initially tips Pierre to Manon’s affair. 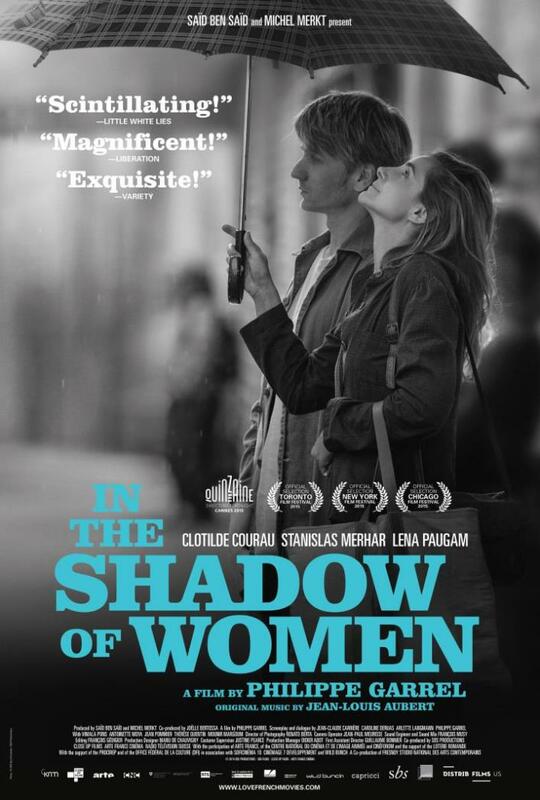 As the title would suggest, gender double standards and the Garrel family’s relationship baggage certainly inform Shadow. However, none of the characters can survive Garrel’s withering examination of their private lives completely unscathed. This sort awkward intimacy is an acquired taste, but nobody does it better than Garrel. Clotilde Courau and Stanislas Merhar also might just be the perfect Garrelian couple, not including the various Garrels. They are still attractive, but have clearly been somewhat weathered by life. Courau and Merhar both exercise great restraint in their confrontations, eschewing cheap histrionics. Yet, that makes it sting even more when they slip the knife in. Much as Willy Kurant’s lens did for Jealousy, Renato Berta’s arresting black-and-white cinematography heightens the Cassavetes-like hothouse closeness. These are uber-urban characters, but they feel like the only people in the world. Although Shadow is not quite as accessible as Jealousy it is still one of the better Garrel films for newcomers to start with. Recommended for his admirers and those who appreciate acutely honest relationship dramas, In the Shadow of Women opens this Friday (1/15) at the IFC Center.